Light and pure like a crystal-clear water stream, this music is easily flowing into your house, enveloping you and making you distract from the humdrum and remember the joyous side of your life. There is no tension in Roger Palmer's melodies, they are weightless and divinely euphonious like a soft breeze, like the air itself filled with the scent of spring. They are lively; they have the spontaneity and optimism of a child with a long and adventurous life ahead. "Lifetimes" is music by a man who has come to the Earth to celebrate and enjoy his life, to love and make something unexpected, eccentric and kind. Roger Palmer's album is a view of a person who is not serious and who knows that all problems are made-up and there is nothing except love. All troubles are kind of going into perspective, and you are listening to this music, then just stop and marvel at how beautiful it is. "Lifetimes" is music by a person who remembers that he is the spirit and creator and that one can not be really live without creativity. The creators are back… But you feel like laughing, because the creators are relaxed and not serious at all. In fact, Roger Palmer's music is simple; it does not seem to have any mysteries and complex meanings. It is totally here with you, and you can just enter this beautiful world - it is wide open for you. The only thing you need is to be ready to perceive it. Keyboards played by Roger Palmer, guitars played by William Reedy, voices of whales and lapping of water sound exceptionally harmoniously all together, and create the atmosphere of celebration. "Lifetimes" captivates by its elegant instrumentation and its superior sound design. Besides, Roger Palmer's album has a perfect composition. "Lifetimes" is the kind of music, which does not belong to any specific style; it assimilates the best of whatever other styles have. It can be called an excellent example of new age music. It is music of the new Earth, it is emerging like a snowdrop on a thawed patch in a bare spring forest breathing the moist air. Palmer turns in a quality album of instrumental music like what you might find on the shelf as you browse through the CD's at Natural Wonders or your favorite holistic book shop. Assisted by Will Reedy, local engineer/producer who also performs his unique nylon string guitar work on the record, this album has all the markings of fine art. The recording which was done at Acoustic Chambers in Kent, is top notch. A nice album for relaxing with. "Ventana de Vida" is a single release to promote Palmer's new album "Ventana de Vida" the Window of Life. This can be bought at Amazon.com or listen to Sonic Bids web site. 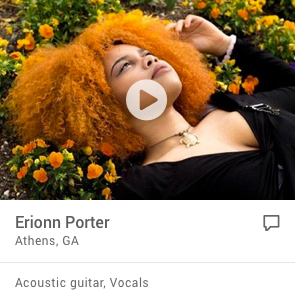 It's also available through the aritist "Palmer" by emailing him at www.palmermusic@earthlink.net. 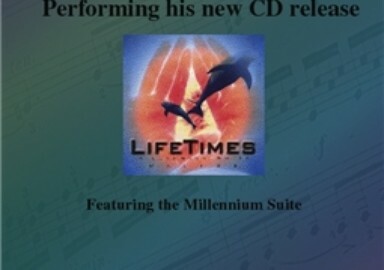 Composer and recording artist, Palmer has released Lifetimes featuring Millennium Suite available at Amazon.com and Northwest regional outlets and in Boston Petes.com Canada. William Reedy, the highly accomplished nylon-string guitarist, collaborated with Palmer in the creation of Lifetimes; a project that took three years to evolve. The evolution produced a body of work that is categorically New Age music, but it is fresh and new, beautifully written and beautifully produced. The melodies and moods fairly glisten from beginning to end. Phrase by phrase, not be note, Lifetimes is a spherical reflection illuminating conflict within the human psyche which struggles to find a state of peace. As a whole, the CD is a poignant reminder each lifetime is a miracle and a diving journey. In its entirety the recording is built around a central them, Millennium Suite. The only interruption in the instrumental format is Awakening, a poem written by Janice Johnson Palmer. Reminiscent of Pink FloydÂ’s Delicate Sound of Thunder, the music is clearly an interpretive vehicle picking up where words leave off. Recorded and produced at Acoustic Chamber, a state-of-art, 24 track recording facility in the Seattle area, Lifetimes has already won a regional award from Disc Makers. Staying in the Fire, the second cut from Lifetimes was voted in the top 10% of several hundred regional submissions. Palmer is a native of the Pacific Northwest. He is a graduate of University of Puget Sound and received a Masters degree in music from Pacific Lutheran University. Growing up he played jazz trumpet and began playing piano close to the onset of his formal education. Classical training gave him a deeper appreciation for all musical form. He has been a teacher of music education for 25 years which has encompassed a broad spectrum of administrative duties and directorships. He has an extensive performance background playing engagements in the greater Puget Sound and Seattle metro area. William Reedy, former student to Andres Segovia, Narcisso Yepes, Carlos Barbosa Lima, and David Tannebaum, has toured extensively throughout the United States, Europe and Polynesia. He has appeared as the opening act for abroad spectrum of internationally renowned artists including Kenny Loggins, jose Feliciano, and The Kingston Trio. 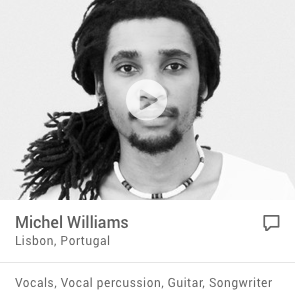 He is the recording engineer as well as guitarist on Lifetimes. The set list would of course depend on the venue, however Palmer has performed with two bands to promote his music. Both bands have performed cover songs as well as classic rock and on promotional venues Palmer's music from Lifetimes and his current Window of Life albums. A standard set lasts 50 minutes. learning the power of creation. Back to another physical lifetime. of the gifts we seek to share. and all things in spirit. into the golden light of the Universe.